If you are an iOS device user, it's obvious that you have one of the biggest music collections in your device with the help of iTunes. We all know that iTunes is a top class tool from Apple that can manage, organize, store and help you to download music on your iOS device. 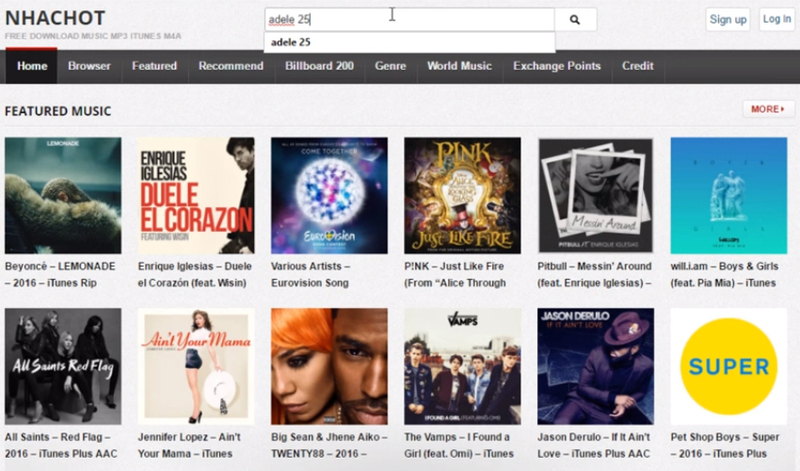 But if you don't know how to buy music on iTunes, then this article can help you. It has a step by step guideline onhow to buy songs on iTunes, buy iTunes song by redeeming your gift cards etc. With the help of this article you will also learn how you can manage media files in your iOS device easily. So stop roaming around the internet and get what you wanted from here! 1. First you need to go to Apples official website and create an Apple ID. You can use this Apple ID from any of your iOS devices easily. Provide all the correct information, email address and security questions properly to create the ID. 2. Now you need to go to the iTunes Store. Click into the "iTunes" icon and then click on the "iTunes Store" option on the top right of your screen to get into the store. 3. If needed, login using your Apple ID. 4. Now you need to add a payment method to your iTunes account if you haven't already added it while creating your Apple ID. You will find this in the "Account Info" option. You can also add a gift card if you want from "Redeem" option. 5. Now go back to the homepage of your iTunes store. 1. You need to identify the kind of a card you have. You must redeem Mac App Store content codes via the Mac App Store. You also need to redeem promotional codes before the expiration date printed on the back of your card. You can redeem Apple Store Gift Cards online or in an actual store. If you got any iTunes Store Gift cards via email, you can redeem it by simply clicking on "Redeem Now" button within your email. Go to iTunes or App Store in your iPhone. Now scroll down in the featured section to find the "Redeem" button. Sign in with your Apple ID to continue. You can also enter your code manually if prompted. The iTunes gift card will have a 16 digits code that starts with an X. Enter that code and tap on the "Redeem" button. Your iTunes balance will automatically be updated. First you need to locate the "Menu bar" and then sign in using your Apple ID. Go to iTunes from the Mac App Store and then choose "iTunes Store". Now from the "Quick Links" section of the right side, click on "Redeem" option. Now provide your gift card or content code and click on the "Return" button to return. After redeeming the content code, your iTunes balance will be automatically updated. 4. Now you need to search and purchase the song of your choice. 1. First you need to search for your desired song that you want to buy. You can try searching a song by artist's name or song name on the search bar. 2. Now you need to choose which song you wish to buy from iTunes. You can buy an album by clicking on the price tag under the album cover. You can also buy a single song near .69 to .29 each. You can also hear music samples if you want. 3. Click the price of the album or song you want to buy. You can choose the payment way using your previously loaded payment options. From here, you can instantly download your music and it will be available in your library. You may be prompted to provide you Apple ID and password after you click on the "Buy" button for security purposes. 1. Selectively transfer/backup/restore desired files: It can help you to select your desired files and transfer/backup/restore them easily. 2. 2 way transfer between iOS device and PC/Mac: You can transfer files from iOS devices to PC/Mac and also transfer them from PC/Mac to your iOS devices. 3. Readable files after backup or transferring: You can read/view the files after backup or transferring them. 4. Preview data before restoring: You can preview the data before you restore them in your device. 5. No Wi-Fi requirements during transferring: There is no need for any Wi-Fi connection to transfer data between devices. 6. Quick and easy iOS system recovery: iCareFone can also help you to recover your iOS system easily if you face any kind of error. With the popularity of idevices, peopele have nore access to the iTunes, and have close relationship with iTunes for it's features. But what disappointed us are the endless errors of iTunes. In order to have a powerful iTunes and have a better experience in iTunes using, Tenorshare TunesCare is a wonderful tool to fix all iTunes Syncing problems and all iTunes issues, such as istall errors or update errors, and so on. With the help of this article you can easily buy music from iTunes and also learn how to manage your files in iOS devices with the help of Tenorshare iCareFone. It doesn't matter if you don't know how to buy songs on iTunes or get your desired music from iTunes. This article can give you all the guideline you need. It's really easy to do something when you have the proper guideline for what you need to do. So keep using Tenorshare iCareFone and follow this article to help yourself.